Note: clearly not the best approach, but I thought I would document it anyway. By the way, when you activate the email forwarding option, no-ip automatically adds the “mx.noip.com” MX record to your host. First, you need to setup email forwarding which may come at a cost (for no-ip, this is an additional $10/year/domain). 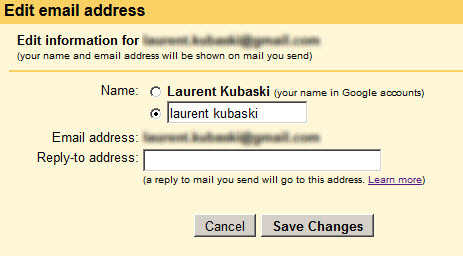 Second, emails sent by you will NOT hide the fact that they were sent from “me@gmail.com”. No-ip email service is yet an additional $10/year/domain for 1 mailbox and 5 GB of storage. Here are the setup instructions once you’ve purchased the service. If instead of using their webmail you want to use the Gmail user interface (which by the way is the whole purpose of this article), then follow the instructions in the next chapter, which will need to be adapted to use no-ip instead of Zoho. OK, here is the interesting part: with this option you don’t need to spend any penny: all you need is a domain name and a free Gmail account. 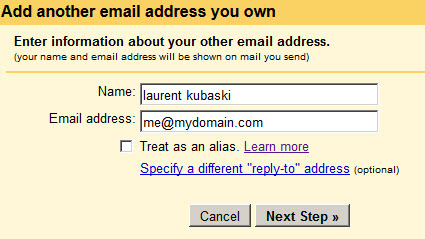 The whole idea is to find another email provider that will allow you to send/receive emails using me@domain.com for free, and to then link this email provider with your free Gmail account. But wait… didn’t we say that we wanted to do this from Gmail and not from Zoho ??? When someone send an email to me@mydomain.com, Zoho receives it and forwards it to “me@gmail.com” (thanks to the forwarding rule you setup in Zoho). 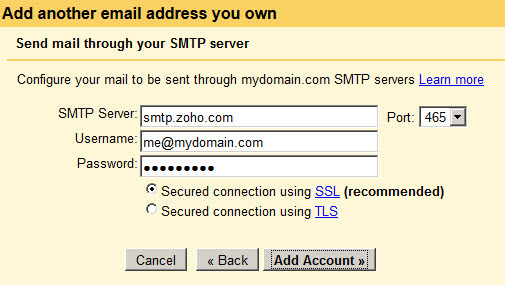 When you send an email from Gmail, Gmail asks Zoho to sends it, and Zoho of course sends it as “me@mydomain.com” (because you configured Gmail so that it uses Zoho SMTP service). Note: when I talk about wordpress here, I’m talking about the http://www.wordpress.com online service. Some people suggested adding a number if front of each category (like “1. Android” and “2. 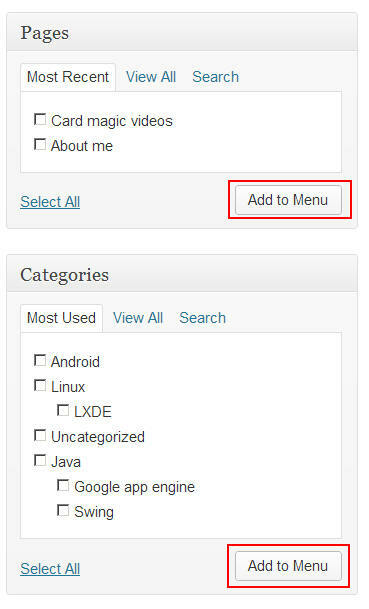 Linux”), hoping that wordpress would display the entries in the ascending order, but this doesn’t work. 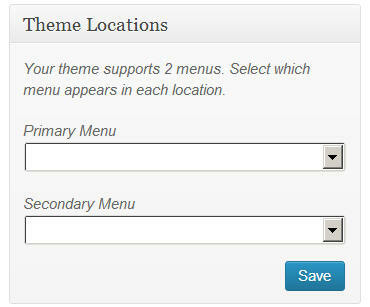 The truth is that this is not possible if you use the default theme menus: you need to create your own. 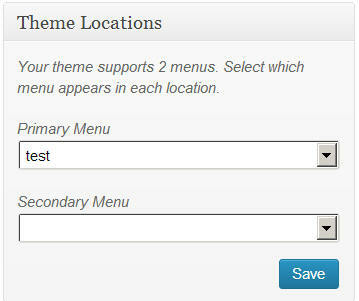 Once the entries are added to your menu, use drag and drop to move them around until they are in the correct order. 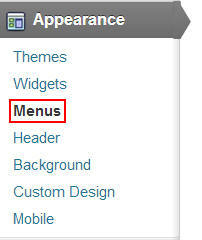 Finally, don’t forget to click on the “Save Menu” button ! When I was a developer, I used to mainly exchange emails with fellow developers and my email signature was usually “Laurent”. Short, concise, simple: in fact, I used to actually type it by hand instead of telling my mail client to automatically generate it for me (crazy huh ?). And then, I started working with managers, marketers & consultants and these guys – especially consultants – heavily use the “automatic e-mail signature appending” feature of their email client. 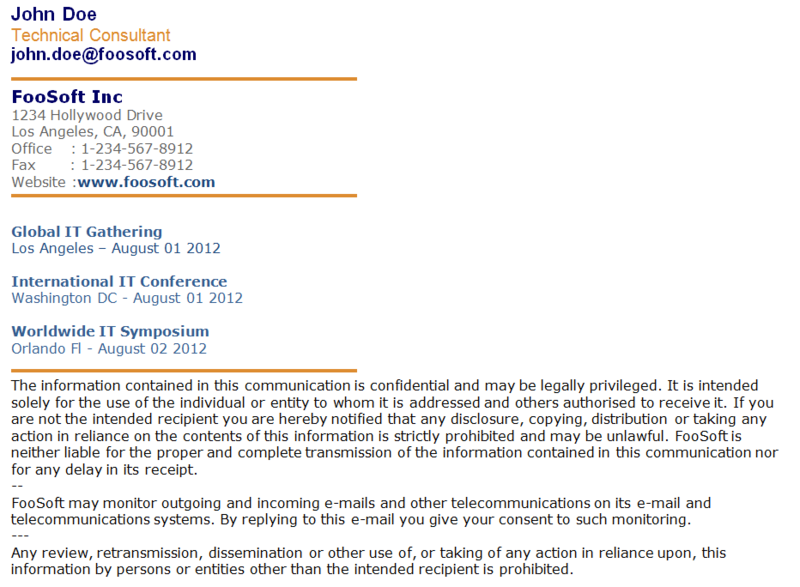 Have you already received e-mails where the signature was even longer that the mail itself ? Welcome to my world ! I’ve gathered some of these emails: the sender name/company name/telephone numbers have been changed to protect the guilty, but apart from that, these signatures are 100% legit. First the short one: name – title – company – address – telephone – web site. That’s a total of 6 lines: rating = 9/10. Then, you have people that really, really, really want to make sure that you can reach them. In this example, we have a total of 12 lines: rating = 5/10. Some people solve this “multiple numbers” issue by having multiple numbers on the same line. Here we have a total of 5 lines: rating = 8/10. Now if you think that it’s almost impossible to reach 5/10, just include a footer that no one will read and you have a winner ! In this example, the company address is not mentioned and the office + mobile numbers are grouped on a single line: a good start ! 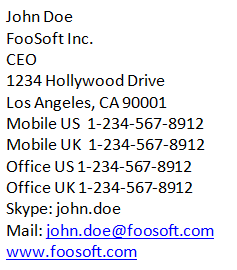 Alas, the 6 lines footer results in a 12 lines email signature. Rating = 5/10. To go below the 5/10 rating, you have to be creative. Like this one where the footer is 7 lines long (that’s longer that the full signature used as my first example), and where the author happily adds a link to the product he’s in charge of. This gives us a total of 15 lines for a rating of 3/10. And now ladies and gentlemen, the clear winner with its unique combo of name – title – company name – address – office/fax number – website – upcoming company events and 10 lines footer for a total of 25 lines and a rating of 1/10. When do you study new technologies ? I received many mails after my previous post. Some people told me that “you should not be allowed to study new technologies during SCRUM sprints“. I’ve been doing SCRUM stand-up meetings for 2 years before switching to a pre-sales role, and I’m going to tell you why I hated this. Disclaimer #1: think again before posting your”you don’t understand what SCRUM is” comment. First, this blog post is not about SCRUM in general, but specifically about SCRUM daily stand-up meetings. Then, I fully understand the concept – thank you – but it’s just that I (ie: “me”) don’t like it and I think that there are other ways to achieve the same results. First, the meeting is supposed to begin every morning at the same time. Why in the morning ? Because “it helps set the context for the coming day’s work“. The issue is that developers – in France anyway – don’t like being told when to arrive in the morning: you arrive early, you leave early, you arrive late, you leave late ! But not anymore: with the SCRUM daily meetings, everyone needs to arrive more or less at the same time every morning (talk about freedom !). And if you arrive too early, you just wait for everyone while checking your favorite websites.Why ? Because it takes a while for you to get “in the zone” … and you don’t want to be interrupted during that time right ? Did you clean your room honey ? Sounds like what my mum was asking me when I was 5 years old. “Well, yesterday at school, I learnt how to write my name. And today, I’m going to do some painting… but it’s hard: can you help me mommy ?“. On top of this, the need to setup a meeting to learn what my collegues are working on feels so wrong to me. As the member of a team, I happen to know what people are working on just by talking to them during coffee/lunch breaks. Also, reading SVN commits comments is a great way to keep an eye on what people are doing. Join up, they said! It’s a man’s life, they said! Finally, I’ve always liked testing new software components. This is a way for me to learn new stuff, which is always exciting… and it keeps me motivated. The problem with the daily meetings is that you cannot say things like: “well, yesterday I finished working on the billing component and today I’m going to spend a couple hours studying this new PDF rendering library because it looks very cool, even if this is something that has nothing to do with the backlog“. So why don’t I like standup meetings ? because I don’t want to be told exactly when to arrive in the morning. because I don’t want to wait for everyone to arrive before being able to really start coding. because I don’t need to scream for help: I know who can help me if I’m stucked. because I’m big boy !